Quel temps fait-il? – Whats the weather like? Il fait un soleil de plomb – its a blistering hot day! Asides from the glorious weather the South is known for, the Côte d’Azur has many other regional characteristics. One of them is the delicious fresh fruit grown in the region. A regional festival I went to recently is La Fête du Citron. 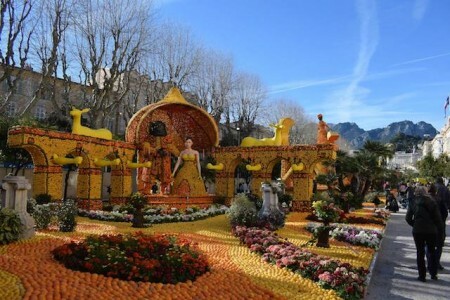 Every year at the end of February there is a festival in Menton to celebrate the vast production of citrus fruits in the region. This year it was the 84ème Fête du Citron and the theme was Broadway. 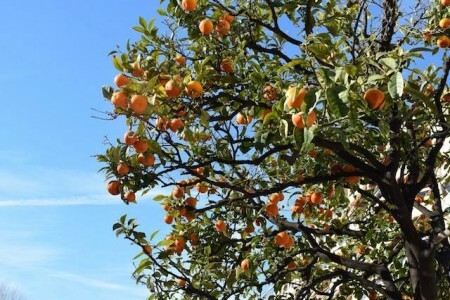 Over 145 tons of citrus fruits were used and over 300 professionals worked on the project. 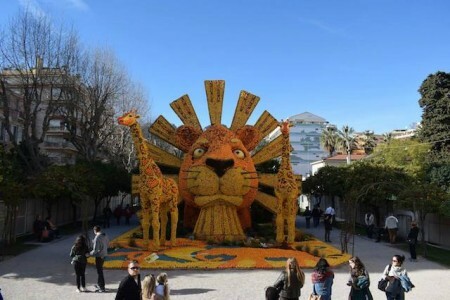 Broadway installations made from oranges and lemons were paraded through the streets on floats, there were processions of lights and a garden exhibition filled with giant Broadway exhibits made entirely from citrus fruits! Thousands of fruit are used to make each sculpture and the result was stunning. 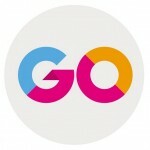 The event attracts over 240,000 visitors every year and is renowned all over the world! The Lion King made of oranges and lemons! Another regional event takes place in Grasse which is known as the perfume capital of the world. Over four days in May, thousands of roses are brought and exhibited in the town. 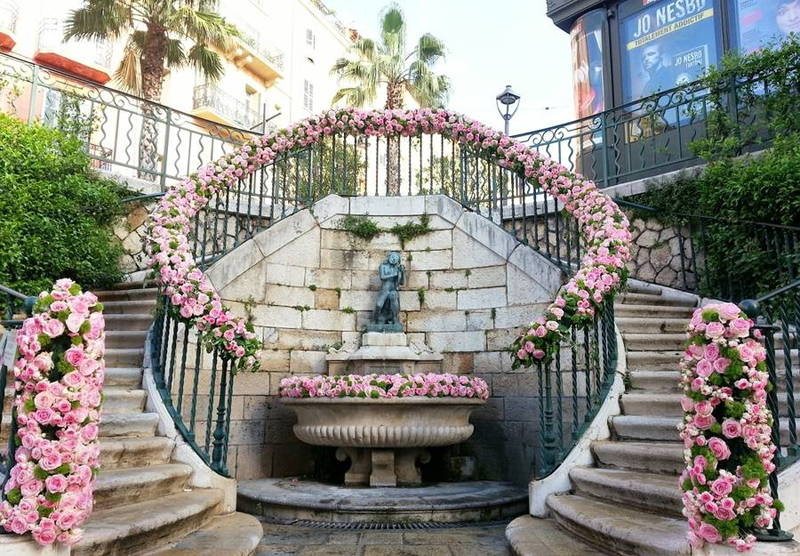 Both individually cut flowers and rose bushes are displayed in all different colours and varieties to celebrate the role the rose has played in Grasse and it’s perfume production. Last year over 25,000 roses decorated the town centre and there were 13,000 rosebushes for sale! There are floral bouquet competitions, rose scented relaxation spaces and culinary workshops with rose jam and scented candles. Both of these festivals demonstrate the boundless creativity that the South of France offers. I’m looking forward to attending the festival next month! What festivals do you have in your region? I’d love to hear from you! Wow! The displays look amazing! I bet the smells are fabulous too. Believe it or not Cardiff has blue skies today … yay!